The beauty of America can be found its united diversity. America is a united country with many differences, especially when it comes to pronouncing words. 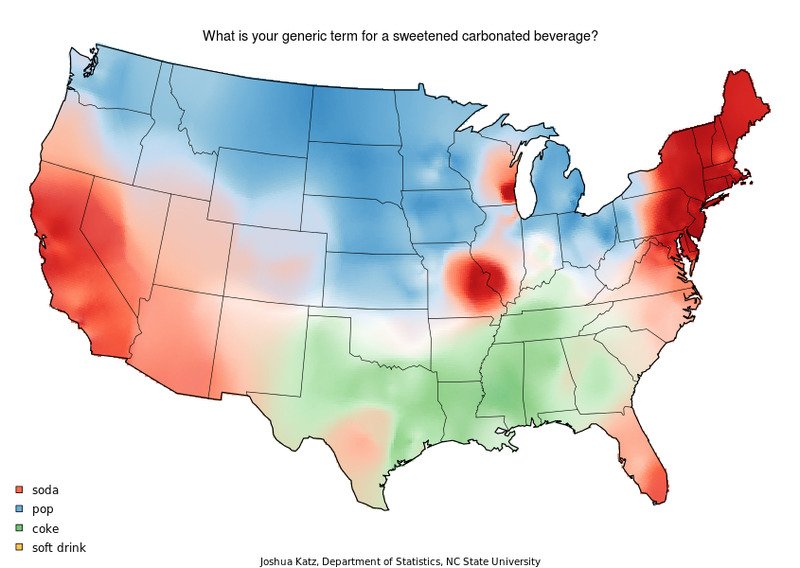 The meaning and pronunciation of words vary by region, city, state or other geographical factors, but that is what makes American English interesting. Joshua Katz, NC State University PhD student, has mapped out linguist difference in 22 areas, but there are far more than just these 22. What Do You Call the Miniature Lobsters Found in Streams and Lakes? Grab My What for a Run? What Do You Call it When It Rains and the Sun is Out? Welcome to the Liquor Drive-Thru. What Can We Get You?